"When people see me around they see a 4' 8" girl in a wheelchair, but what they don't know is that I am an athlete" says Abby Farrell. Abby currently plays for the Denver Jr. Rolling Nuggets and Utah Rush women's wheelchair basketball teams and has committed to playing wheelchair basketball for the University of Illinois Women's Wheelchair Basketball Team. We are excited to announce that Abby has been awarded a scholarship from ABC Medical. "She is the epitome of what ABC stands for Adapt.Believe.Compete. " said ABC Medical's CEO Keith Jones. Abby Farrell was born and raised in Colorado Springs, CO, which is only 20 minutes away from the U.S. Olympic Training Center. She has been involved in adaptive sports for "as long as I can remember." 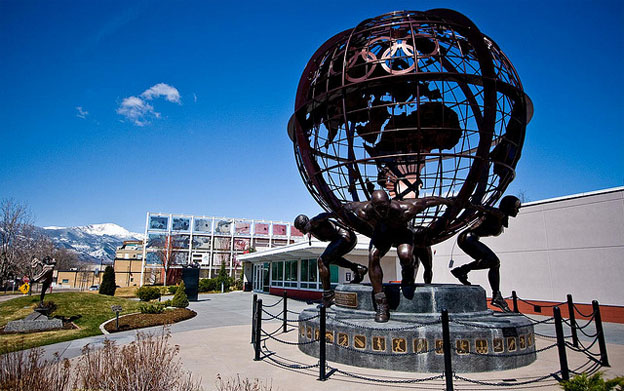 Abby used to go to the Olympic Training Center as a kid to visit her parents who both worked there, and thinking about the day that she would be able to enter the Olympic Traning Center as an athlete herself. Abby has tried every sport from sled hockey to some of the able-body sports such as soccer and gymnastics. Nevertheless, she fell in love with wheelchair basketball and track that gave her opportunities to travel around the nation and around the world, while meeting many new people and making friends. "Being an athlete has always been in my DNA. I have grown up within a family that values the importance of sports." Abby's mother competed in gymnastics at the 1984 Los Angeles Summer Olympic Games, where Team USA took home a silver medal in the team competition. "Over the past few years I have been honored to be able to attend wheelchair basketball development camps being held at the Olympic Training Center and for me it has become motivation to one day return to that same gym wearing USA across my chest. My dream is to represent the USA at the Paralympic Games" says Abby. What does the motto Adapt.Believe.Compete. mean to you? When I first heard the motto "Adapt. Believe. Compete." being an athlete my mind automatically thought of sports, specifically adaptive sports. Being an adaptive athlete for so many years, I have learned that while there are some great adaptive sports programs throughout the country, work needs to be done to create more. Some athletes may need to drive 5-6 hours just to be able to hop into a basketball chair and scrimmage with other people in wheelchairs for a few hours. So to me, "Adapt" signifies the need to create different programs and teams to allow for people with disabilities the opportunity to participate in sports instead of sitting on the sidelines watching their able bodied friends play without them. But, with that comes the task of people recognizing the need for programs and the resources necessary to build one. It also comes with people with disabilities believing they can play sports like everyone else. Every person with a disability has the ability to play sports. No person should ever think that because they have a disability they can't play sports. "Believe" means that people with disabilities believe that they have the ability to do whatever they want to do and be whatever they want to be no matter what anyone tells them. Then once adaptive programs are created and athletes have an interest in playing that's when the fun begins. Adaptive sports allow athletes to play the sport they love with their friends and people who are just like them and because of this it allows them to compete. A kid that was once sitting on the sidelines of his friend's basketball game now has the opportunity to become the leading scorer for their team and maybe one day go on to represent their country at the Paralympic Games. Adaptive sports give people the opportunity to compete on an equal playing field as everyone else. In adaptive sports no one is left out. Everyone belongs. This motto means a lot to me. Every person whether or not they have a disability has the right to be treated equally and have the ability to compete on the same playing field as their teammates and friends. I have had a dream of playing wheelchair basketball in college for as long as I have played the sport. However, there are a limited number of programs in the entire nation that have full, intercollegiate wheelchair basketball teams, and none are in the state of Colorado. While I have been honored to be offered to attend the University of Illinois to play wheelchair basketball, the financial cost of attending will still be quite substantial. Unlike Division I athletic scholarships, wheelchair basketball players do not have the luxury of being offered a "full ride". The cost of attending the University of Illinois will still be quite great, and any scholarship money I can earn will be used for tuition and allow me to pursuit my dream of being a collegiate student-athlete. If you feel the same way as Abby and want to see more programs available for student-athletes at the collegiate level, join the Seeds of Hope Iniatiative, our collective movement to help create programs in the country. Please take our student-athlete survey and contact us for more information. Check out this article to learn more about the Seeds of Hope Initiative.